In thirty seconds life gave way to lifelessness. Thirty seconds from the moment I rested my cheek against her neck, holding her close, until the onset of death. And only a fraction of that before she no longer heard my whispered words of comfort. Thirty seconds between the vet's gentle, "Are you ready?" and the dizzying, gut-wrenching realization that I could never recant my consent. It's been a year since I sanctioned the ultimate and most incongruous demonstration of love. 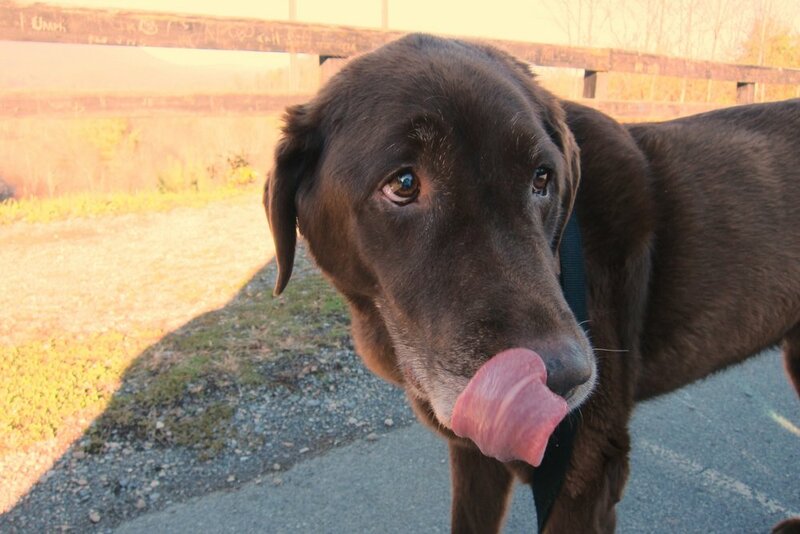 The euthanization of our 13-year-old chocolate lab, Bailey. One year later and the experience of cradling my sweet living, breathing companion in one moment and weeping over her silent, motionless body in the next is still excruciatingly mind-blowing. Intellectually, I understand the sequence. Loss of consciousness, then cardiac and pulmonary arrest, and finally cessation of all brain function. Yet as this sequence overtook my goofy girl it was viscerally bewildering. How could the loss of the maddeningly worst-listening-dog-ever evoke such aching sorrow? To be fair, Bailey was a selective listener. Commanded to "Play dead," she'd roll over onto her side, quite still, "mostly dead," but for her furiously thumping tail. That mighty barometer of her emotion. She obeyed, "Sit...stay!" only for as long as I remained in her line of vision. Once out of sight she’d hunt me down, tail wagging wildly upon discovering me. In her youth, her most terrifying act of disobedience had my family fearing for her life. She'd bolt through any open door, racing over fields and streams, dodging traffic on busy streets. Never heeding our cries to return. We'd take chase in the car, spotting her and frantically plotting strategic intersection of her trajectory. When we'd finally corner her, she'd simply leap in. As if she’d encountered us by happy coincidence. 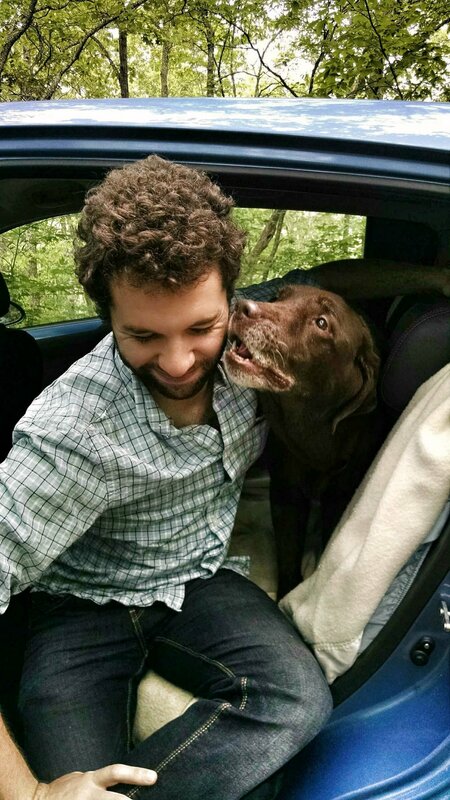 She’d pin us in the vehicle’s cramped interior, her tail whipping joyously for our reunion. Near the end of her life, Bailey exercised the privilege of her years to blatantly ignore me. She probably knew by that time I was no longer issuing commands of consequence. Usually, it was for my own amusement. Photos mostly. She'd eye the camera and languidly turn away as the shutter clicked. Then, I'd be forced to go to her, crawling on the floor to get the shot; much to her amusement I'm sure. She, clearly the cleverer of the two of us. 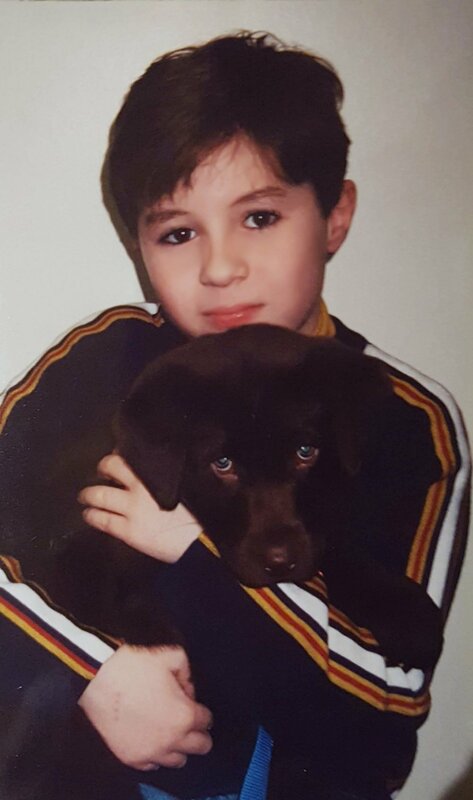 Officially, Bailey was my son's dog. A gift for his ninth birthday. 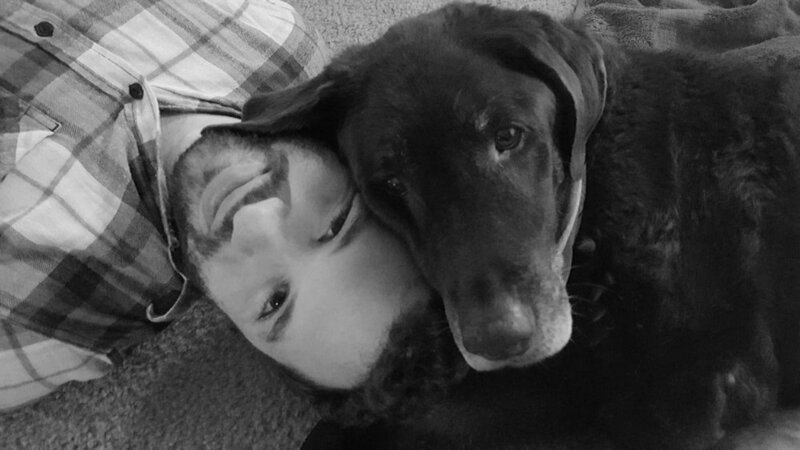 Years later as he went off to college, forced to leave her behind, I learned Bailey listened to me in ways I hadn't before fully appreciated. She stayed close when I was depressed. Nuzzled me when I cried. And during my darkest hours, she was content to let me curl up against her back and spoon her until sleep mercifully overtook my troubled thoughts. During the five years after my son left home it was only the two of us. Constant companions. Especially after I changed careers to work from home. My days were punctuated by her meals, walks, and medications. And whenever possible, my road trips included her. 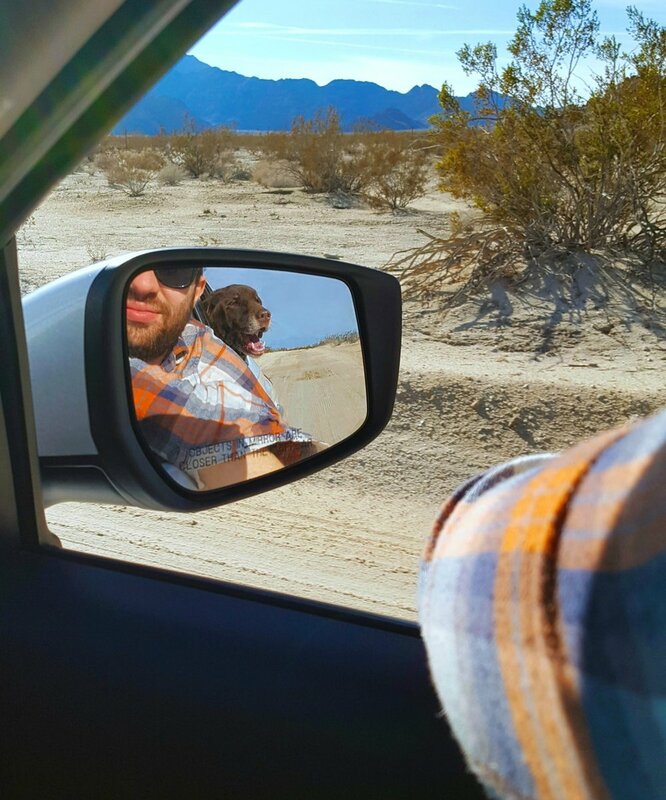 We covered thousands of miles together filled with new sights, sounds, and scents that intrigued her, much to my delight. Always, I adored her sweet face. Those comically expressive brown eyes. How she'd appear alert, ears perked during my ridiculous doggie-speak discourse, keen to hear words she recognized. I remained blissfully smitten. 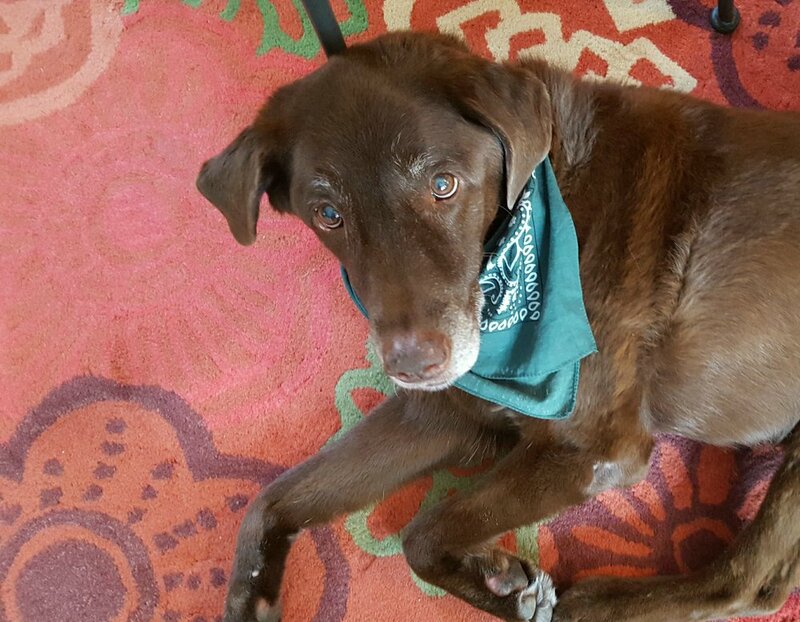 Aging exacted its toll, and in her final months our spirited Bailey slowed markedly. One unusually bad day, I was panic-stricken upon discovering a bleeding, ulcerated lesion on her tail. It was mastocytoma. Known also as mast cell tumor or MCT. The most common type of tumor in dogs. Mast cells are found in connective tissues, especially those closest to external surfaces, such as the skin, nose, mouth and lungs. The recent onset, ulceration, and vet’s microscopic exam indicated a high-grade tumor. Likely to advance rapidly. More ominously, an X-ray revealed a shadow on her kidney. I can no longer recall the veterinary consultation in detail. Perhaps I imagined “six months to a year.” I do recall that my brain needed only a nanosecond to calculate that the signs and symptoms, her health status, and the test results indicated far less than that. My heart bargained for those six months. My son and I agreed we would not subject Bailey to extraordinary measures, additional imaging, or exploratory surgery. Instead, we felt the vet's alternate suggestion would be less risky and less traumatic for her. Amputation. Of her tail. An effort that would ultimately prove futile. Bailey rallied nicely after the surgery. Encouraged that she was stronger and healing well, I hit the road to attend a long-scheduled conference, leaving her in the loving care of a trusted friend. The call came late at night, as those calls so often do. Bailey was lethargic and refused food. Most alarming, her urine was bloody. My friend insisted I should wait until morning for her update. No, no, no, I would not wait. I had to get home. Four hundred and fifty miles, speeding over roads winding through black, hulking mountains and sleeping towns. Cursing the hours as the moon crept across the sky. Running a race I could not win. It had been only six weeks. I crossed our threshold in the dawn, edgy with anxiety, yet exhausted by the weight of my sorrow. Softly calling her name as I approached, it was staggeringly obvious that Bailey wanted to, but could not move to greet me. Yet she managed to flutter the silly stump of her tail, shattering my heart. Time. I wanted more time. In the time left to us I spooned her against me, nuzzled her neck, and assured her repeatedly she was my good girl. She listened as I spoke of her boy and how very much we loved her.